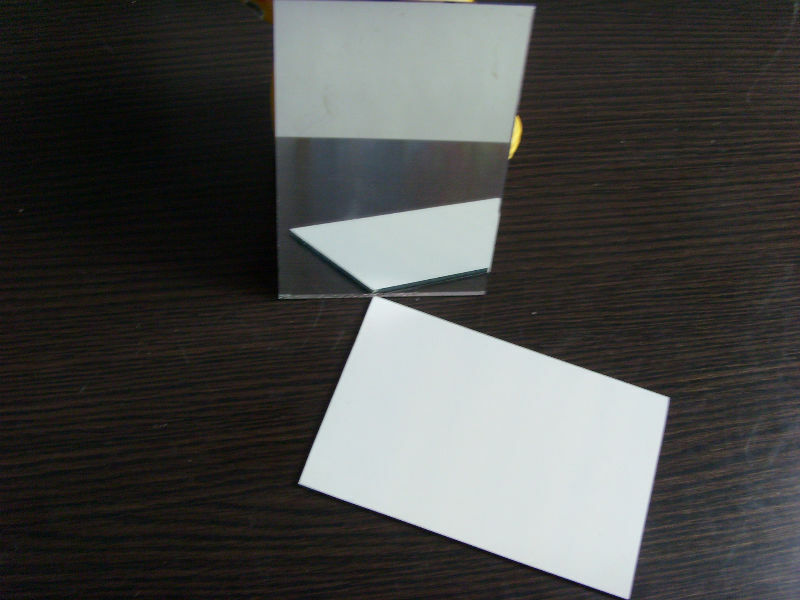 The sheet glass aluminum mirror is the important aluminum series of the sheet glass aluminum mirror and it has been in this fields for more than 30 years, many clients show interest in this product, the thickness of it is 0.2-6.0mm, and the width is 10-1520mm. Comparing with other products of Haomei, it has many advantages such as all kinds of reflectivity, consistent quality, reasonable price, wide range of applications such as ceilings, decorations, lighting, labels & signs etc. Mirror aluminum is an advantage product of our company, it has been highly appraised by the clients, mirrors are available in either silver or aluminum and suit all atmospheric conditions, and the surface of it is clear and bright, giving distinct and lifelike image. The plating layer is rigid and bond and the protective layer impregnable with good erosion-resistance. The sheet glass aluminum mirror is of high quality, and the special feature of it has many advantages, if you want to know more about the sheet aluminum mirror, you can have a look at our website, and you can also ask us for help, and we will be glad to answer all the questions that you have!